Automotive News Canada recently published an article entitled ‘Canadian Universities Providing Vital Auto Research’, written by author Rob Bostelaar. The article highlights several research and innovation projects stemming from partnerships between Canadian Universities and the private sector, with the goal of building an automotive future which is based on research & development, software development and technology. Read the excerpt below, or click here to view the full article. But the team is able to draw on ad-hoc techniques developed for mining roads by Cypher Environmental, a Winnipeg-based dust control specialist. It’s also working with local contractors and works departments. ​Cypher and the National Research Council ​are providing the bulk of funding for the project. Some of the studies take place in labs; others involve area roads such as one unpaved stretch used by 150 loaded gravel trucks daily. “It was built in 2015 with this technology and has gone from three times daily maintenance to once yearly, with the cost of construction within the pre-existing budget for normal reconstruction,” the team reports. 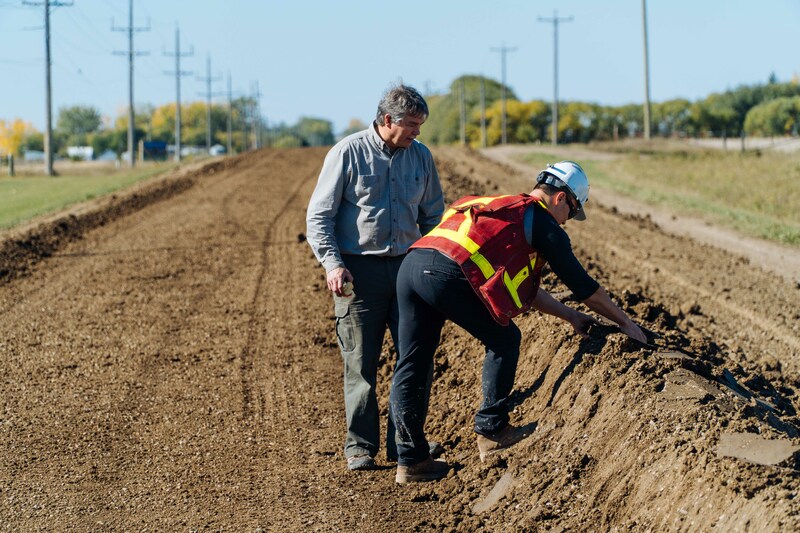 Interest in the project proves that dusty, bumpy roads aren’t just a problem in Canada. The researchers say delegations have come from Honduras, India and China to examine the test roads.